When it comes to ‘prayer’ or ‘distant healing’ — directing human attention on physical systems — significant results have been obtained that warrant further investigation. For a selected list of downloadable peer-reviewed journal articles reporting studies of psychic phenomena, mostly published in the 21st century, you can click HERE . Scientists over at the HeartMath Institute have demonstrated that when a person is feeling really good, and is full of positive emotions like love, gratitude, and appreciation, their heart beats out a different message that’s encoded in its electromagnetic field, which in turn has positive health effects on their body overall. You can read more about that here . Factors associated with human consciousness (thoughts, feelings, emotions, perception, intention) have long been studied to see how they affect and interact with our physical world. You can read more about that here . 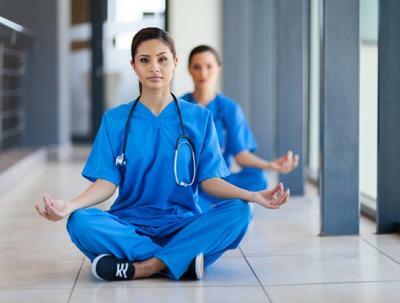 The Harvard gazette reports  that relaxation response techniques, such as meditation, yoga, and prayer, could reduce the need for health care services by 43 percent. The study was published last Tuesday in the journal PLOS ONE . Personally, I believe a common misconception about meditation is that it must be done in a special way, or you must sit in a certain position. All you have to do is place yourself in a position that is most comfortable for you and focus on your breath, in and out. It’s not about trying to empty your mind, it’s about more so about developing a “non-judgemental awareness of sensations, feelings and state of mind” (source ). Let your thoughts and feelings come and go, then return your focus to your breathe. Telling yourself not to think will only produce the opposite effect, but you can work on choosing how to feel and respond to those thoughts. Meditation can be similar to state of mind, in that some might have the ability to produce the same brainwave frequencies that are commonly seen in meditators without actually meditating. On the other hand, there are many devout students of meditation who spend hours of their time each day devoted to this ancient practice. If you are someone who doesn’t have much experience with meditation and would like to try it, you can check out some of our articles on the topic that offer some advice/tips on meditation, as well as find some guided meditations here . As far as yoga goes, here  is a 20 minute yoga class for complete beginners, and here is a list of articles we’ve written that provide more instruction and information about yoga .